Mt Myoko is the dormant volcano that looms over the village giving the area its name. It can be seen from every point with in Myoko City. The mountain is one of Japans 100 famous mountains. Around 20,000 years ago the top of the mountain was blown off in a major eruption leaving a 3km wide caldera hollow at the top of the mountain. About 6,000 years ago the central crater developed which now gives Mt Myoko its distinctive shape. All the major ski runs in Myoko are found on the slopes of Mt Myoko. The onsen hotsprings also all find their sources within Mt Myoko. 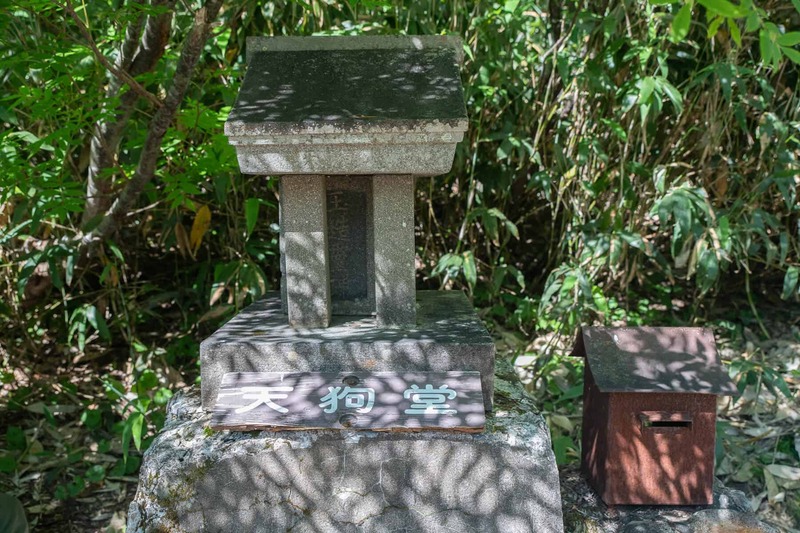 There are 3 starting points to choose from, Tsubame Onsen, Kanko Resort and Sasagamine. If you choose to start from Sasagamine you will need to keep an eye for the sign for Mt Myoko (妙高山). If you miss it you will end up climb Mt Hiuchi instead. The usual starting point for most people will be Tsubame Onsen. We recommend allowing 4-6 hours to reach the summit depending on pace. 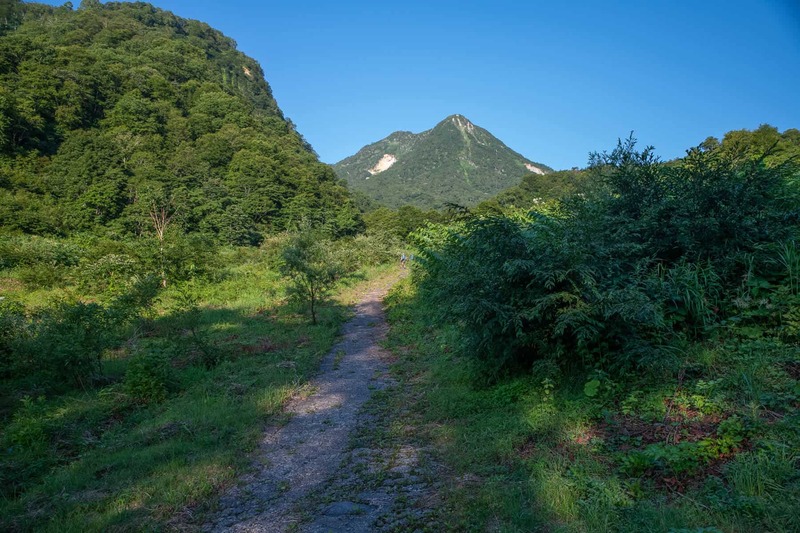 Mt Myoko is a steep climb from start to finish so its recommended you keep a slow steady pace. If climbing during the summer months you should also have 4L of drink with you. 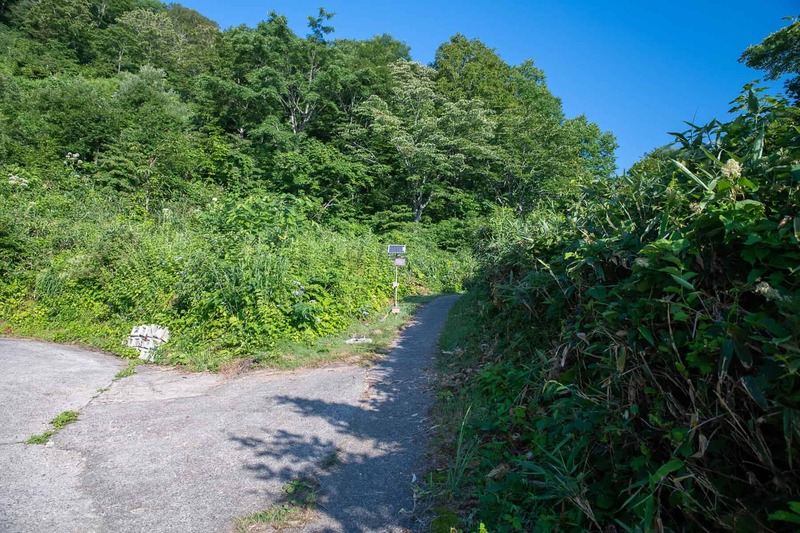 When climbing from Tsubame onsen after passing the hotels you will take the path on the left and follow the paved road upwards. You will then reach a narrow path that heads in the forest. There is a sign for Mt Myoko (妙高山) but it might be hard to see. Take the narrow path to the right. On this path you will pass a couple of large waterfalls on the right-hand side and also a natural drinking water outlet. The path is narrow in places with a sudden drop, so care is needed. You will then reach a small river that you will need to step across. Tengudaira. Follow the path upwards. Continuing upwards you will reach Tengudaira which is marked by the small shire. This is great place to take a break before you continue upwards. The path to left will take you down to Kanko Resort ski field which is an alternate start/finish point. As you start to near the peak you will need to climb some steep cliff areas by chain. 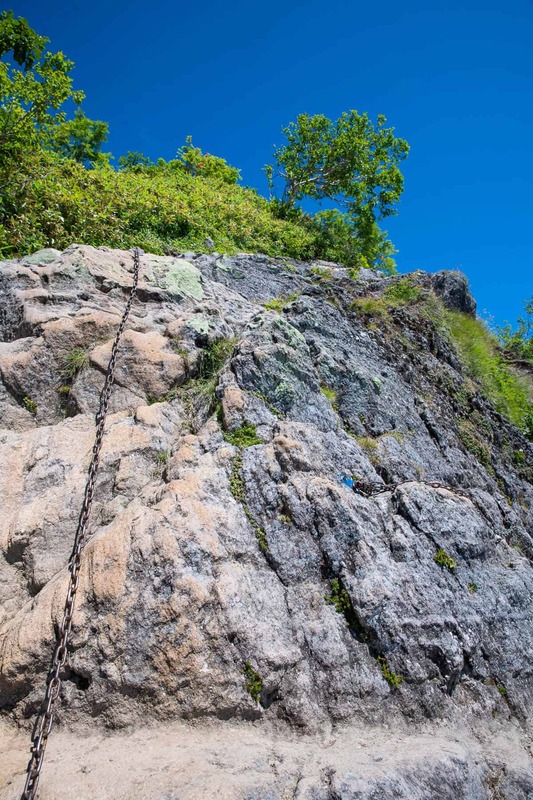 These areas are not difficult to climb with use of the chain and are just steep, not vertical. 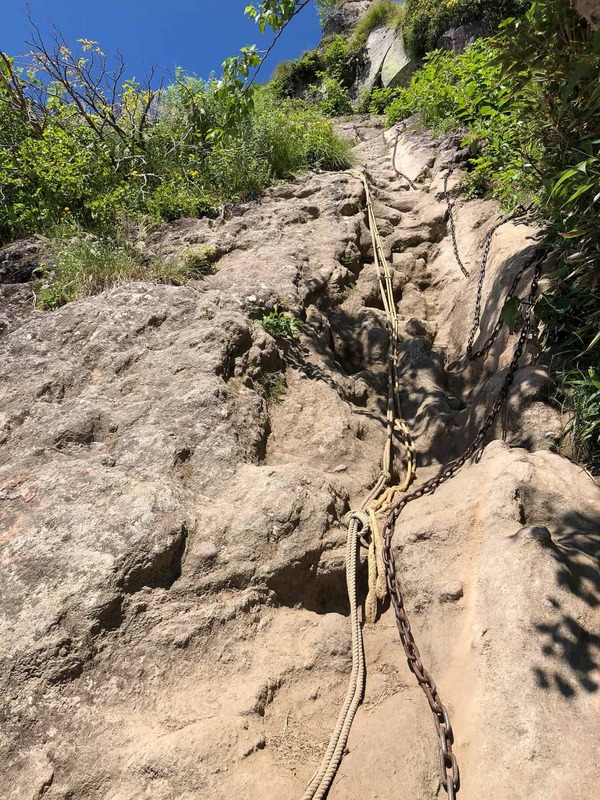 After scaling the chain areas, you should be on the peak with in an hour. Use the chains and rope to assist your climb. The views from the top are spectacular. On a great day you can see across the country to Mt Fuji. Mt Myoko often is covered in cloud after midday, so you should aim to reach the summit before then. Sometimes you are treated to an amazing sea of low lying clouds that are below you as you sit on the summit. At the peak of Mt Myoko, you can walk 400meters to its secondary peak. This area is more open making it a great place to have lunch. You can see Mt Hiuchi and the Northern Alps!